Genetically modified foods can’t be found in UK supermarkets as they have not entered the food chain here because of consumer resistance. But if GM food was ever marketed in the UK, it would have to be labelled as such. So what exactly is GM food and how would it have to be labelled? ‘food containing, consisting of or produced from a genetically modified organism (GMO)’. This includes not only any crops that have been genetically modified, but also all of the ingredients and foods produced from GM crops. According to EU regulations agreed in 2004, any product derived from a genetically modified organism must be labelled as GM, even if no traces of GM material remain. Maize starch made from GM maize contains traces of GM material. 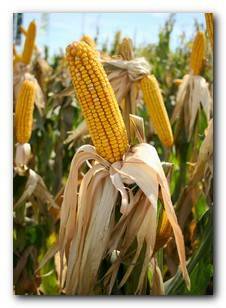 In contrast, maize oil made from GM maize is so highly processed that no traces of GM material remain. Nevertheless, both products would have to be labelled as GM – subject to a labelling threshold of 0.9% to allow for contamination during cultivation, harvesting, transportation and processing as long as the contamination was accidental. GM foods are controversial for two main reasons. First, there is the worry that the genetic modification could also introduce unwanted traits to the organism as well as the desired ones, creating a health risk. All GM food has a rigourous safety assessment before it can be sold in the EU. This includes checks for any changes in its allergenic potential and nutritional profile, and is carried out by the European Food Safety Authority, EFSA. 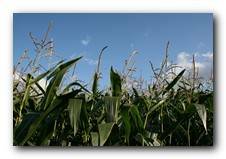 The second big concern is the risk of crops becoming cross-contaminated. Fields where GM crops are grown have to sit within a ‘quarantine’ zone where non-GM strains of the same crop cannot be grown, to prevent contamination with the GM strain. However, this is difficult to control, and some cross-contamination would be inevitable if GM crops were ever grown on a large scale in Europe. While this would be a problem for organic farmers, it is debatable whether there would be any real risk for consumers.